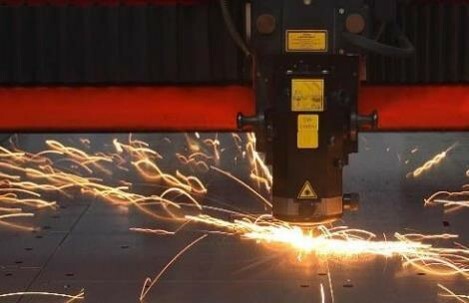 We employ a range of laser cutting services here at HEC Showman to ensure the products we produce are repeatable, accurate and or high quality, cut after cut, time after time. Laser cutting stands for light Amplification by Stimulated Emission of Radiation. These machines have developed rapidly ever since their conception in the early 1960’s. Since conception, lasers have been through a robust development cycle with many types being created. These lasers have had many diverse uses, such as cutting, engraving, ablation, tattoo removal, eye surgery etc. Today, laser cutting machines are much more “turnkey” systems then ever before. This reduces costs and increases the life of the machine. Mild / Carbon Steel. CR4, S275, S355, P&O etc as well as Corten, Galvanised, Zintec, Tool Steel. Stainless Steel. We can cut all grades of stainless steel, 304, 316, 321, 430. Aluminium and alloys. All grades can be laser cut; 1050, 5083, 5251, 6061, 6082 etc. Woods, MDF and ply. We can laser cut MDF and ply, as well as natural woods. Acrylic and other plastic. Whilst acrylic is by far one of the most popular laser cut materials, we can laser cut other materials too. Metals. We can laser engrave and etch brass, steel, aluminium, painted metals as well as stainless steel. Wood. We can laser engrave natural wood as well as Plywood / MDF, the latter is becoming very popular. Plastic. We can laser engrave acrylic, which is again the most popular. We can also engrave other plastics such as ABS, HIPS, Lexan, Polycarbonate etc. Other Materials. We can laser engrave a range of other materials, from cork to glass. We use laser cut components on a daily basis here at HEC Showman. From the components of our own products, through to component parts for customer items, laser cutting allows for an accurate profile to be produced every time. This accuracy, combined with our forming technology, allows us to quickly, accurately and repeatably produce items to your specification.